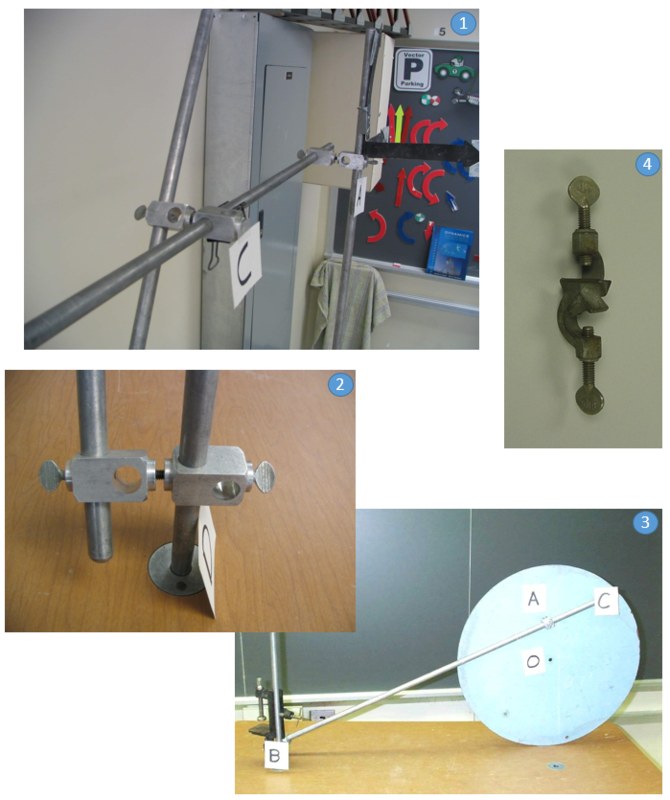 This training aid demonstrates the translational and rotational kinematics of rigid bodies in translating as well as translating and rotating reference frames. This demonstration should take 15 minutes. Before Class: Build the slider. 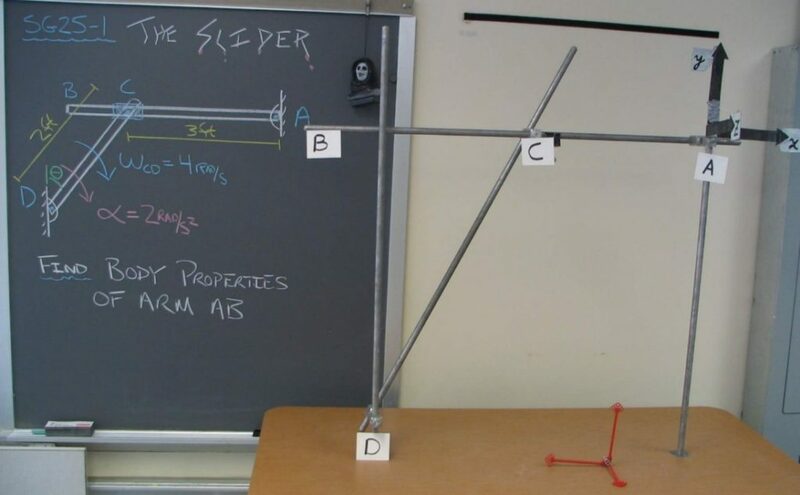 In Class: The model demonstrates the example problem for the lesson. The angular velocity and angular acceleration of bar DC are provided, and the angular velocity and angular acceleration of bar BCA is desired at the instant in time bar BCA is horizontal. The collar at C is free to slide back and forth. As pictured, an “alligator” clip is holding the collar in place. The hinge connectors pictured below (“pillow box” connectors) are usually used to secure one rod to another (1). However, by attaching two of them together with a small screw segment (2), they are free to rotate about each other and maintain a grip on whatever they are holding. This same idea is used in a separate slider problem where a disk is attached to a bar by a collar that is free to rotate and which allow the bar to slide through it (3). Cenco right angle clamp holders also can be made to work (4). Tom Messervey (2017), "The Slider," https://www.handsonmechanics.org/dynamics/328.